Σχεδιασμένο για ταξίδια τόσο επαγγελματικά όσο και διασκέδασης, το Yilan Happiness Inn είναι ιδανικά τοποθετημένο στη Κοινότητα Λουοντονγκ, μια από τις διασημότερες περιοχές της πόλης. Σε μια τοποθεσία μόλις 0.5 km από την συναρπαστική ζωή της πόλης, αυτό το 2 αστέρων ξενοδοχείο αποτελεί ένα εξαιρετικό μέρος και παρέχει εύκολη πρόσβαση στα μεγαλύτερα αξιοθέατα της πόλης. Από τη βολική της τοποθεσία, η ιδιοκτησία προσφέρει εύκολη πρόσβαση σε κορυφαίους προορισμούς της πόλης. 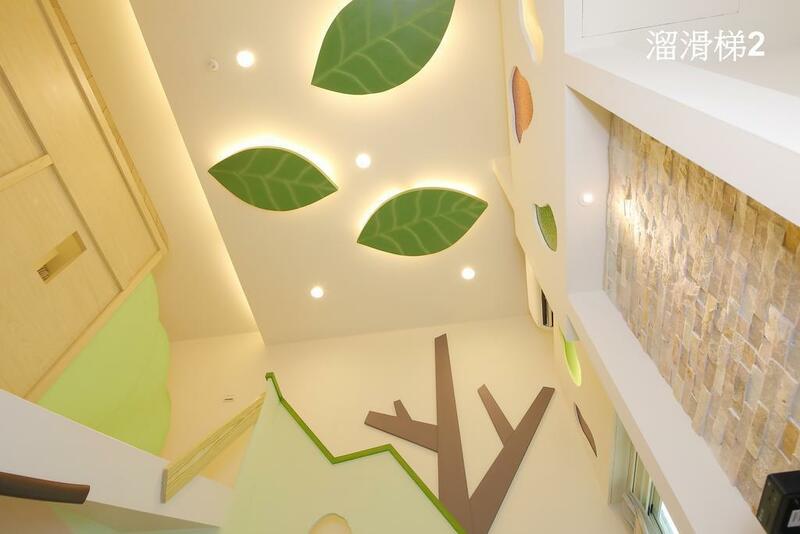 Το Yilan Happiness Inn προσφέρει επίσης πολλές εγκαταστάσεις για να εμπλουτίσετε την διαμονή σας στη Γιλάν. Οι πελάτες του ξενοδοχείου μπορούν να απολαύσουν υπέροχες δραστηριότητες όπως τα δωρεάν WiFi σε όλα τα δωμάτια, ημερήσιος καθαρισμός, παράδοση ειδών παντοπωλείου, αυτόματο πλυντήριο, ταχυδρομική υπηρεσία. Απολαύστε ανέσεις υψηλών προδιαγραφών κατά τη διαμονή σας. Ορισμένα δωμάτια περιλαμβάνουν επίπεδη τηλεόραση, επιπλέον μπάνιο, προϊόντα καθαρισμού, κρεμάστρα ρούχων, δωρεάν καφές φίλτρου - ό,τι πρέπει για να αναζωογονηθείτε μετά από μια γεμάτη μέρα. Εξάλλου, το ξενοδοχείο διοργανώνει πολλά ψυχαγωγικά δρώμενα έτσι ώστε να έχετε πολλά πράγματα να κάνετε κατά τη διαμονή σας. Έξοχες υπηρεσίες και μια εξαιρετική τοποθεσία κάνουν το Yilan Happiness Inn την ιδανική βάση από όπου θα απολαύσετε την παραμονή σας στη Γιλάν. We were upgraded to a big room with a living room which was a nice touch. Luodong night market is just 10 min away. helpful staff took the time to explain to us in detail about the attractions and places to visit. Room is spacious enough for 6 adults & 1 kid. However, should have 2 toilets instead of 1. Breakfast is available across the street and beside. Should have more facilities like swimming pool. We booked 2 rooms, both with slides. Kids were especially happy with the slides. However, toilets are a little dirty and can get very wet after bathing and slippery. There will not be any staff at the reception after 11pm. However, a telephone number is given in case you need to contact them. Staff will provide a map and guide to nearby eateries. Located in quiet neighbourhood. Staff were friendly and helpful, offering help with bringing luggages up to our room and showing us around the area. Hassle-free check-in and check-out process. Toiletries and drinking water provided, there is even a shelf at the reception that is packed with other items that guests may find useful. Busy night market near by, located near enough to take a comfortable slow walk to and from accommodation. Fantastic local food shop located next to accommodation, serving good variety and staff are friendly to recommend their menu. Convenient to pop by next door to get food for breakfast. Staff are friendly. They arranged transport to pick us up at the train station. They even explain to us how to get to Teh night market with map, recommend some food that we must tryout when we went to luodong. The room is big, quiet and comfy. 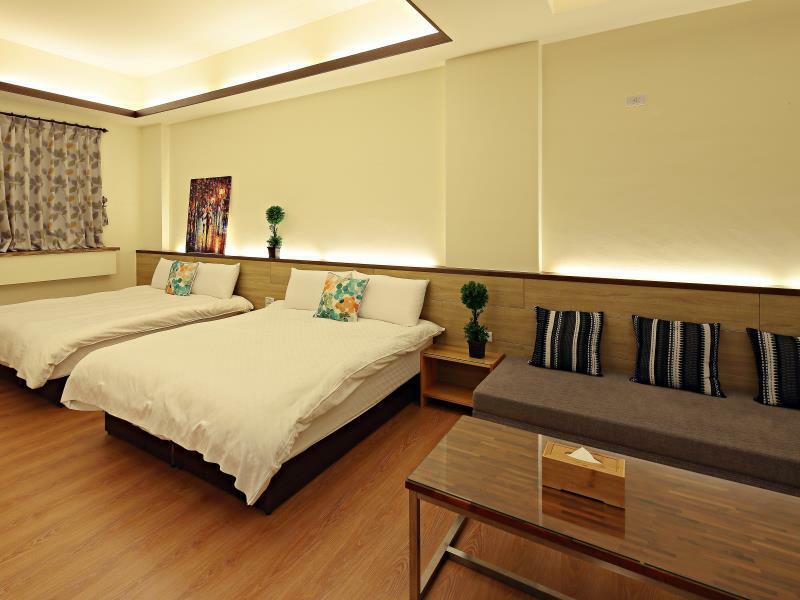 Can choose Yilan Happiness Inn, if you want to stay longer. Good location for railway station and LuoDong night market. Thus, if you don't have idea about the attraction of LuoDong/YiLan, they will recommend and explain about the attraction and transportation. They are super very friendly and helpful. ~10 mins walking distance to lou dong night market! The staffs are very friendly. Will provide a tour guide map and explain the route to lou dong night market and it's famous local food! The room is big and clean! Will definitely return to stay in it if re-visit Yilan! The staffs was very friendly.Safety was quite okay.Near to the night market.Surrounded by the foods. Beds are ok Staff are helpful but at night there is no one at the reception. We are given the key to the main entrance since after certain time no one will be there. The stairways are dangerous for kids especially between level 3 and level 5 Penthouse room only suitable for young couples. Found 2 spiders in the room though. 5 to 10 minute walk to night market too basic. 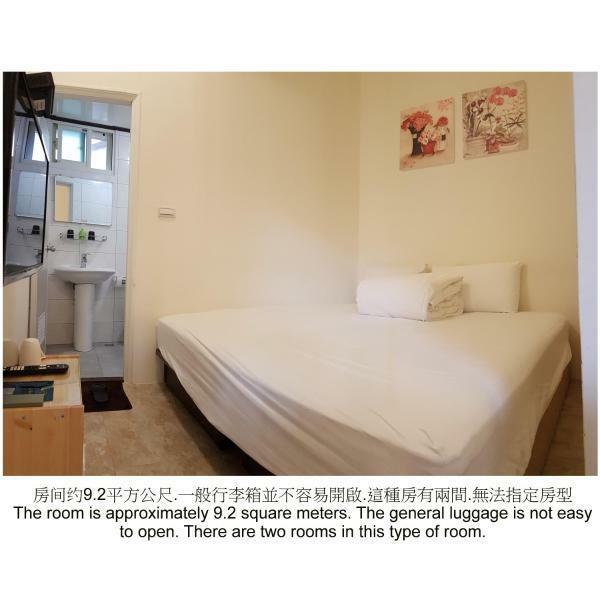 Walking distance to LuoDong night market. Staff is very friendly to explain and introduce the tourism place and guide you the direction. Book for 2 person , but upgrade to 4 person big room. Mobile networking is block when you are in room, luckily free wifi is provided. I had a family room with a slide, and the kids just loved it! Great food nearby and the night market is just minutes away. Staff are super friendly and helpful! Just that the place is a little hard to find. But this is a small problem because you can just call them up... If I'm coming to Yilan again, I'll definitely stay here again! super good staff service. very very helpful. we love it. The slide definitely the attraction of the room. The kids has so much fun with the slide. Room is clean and spacious enough. Nevertheless, the staffs are very nice and friendly. Need to use the address to locate. Opposite has a good breakfast place. A great place near to train and bus station. This place also near to night market which take about 10 minutes walking distance. The staff is great and introduced us a lot of good food and nice place. 5 minutes walk to train station and night market. Very friendly staff. Clean rooms. Σιδηροδρομικός Σταθμός Luodong στα 0.37 χλμ.